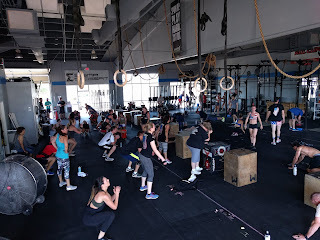 A couple more pictures from "Murph" on Monday! Rest 3 min between AMRAPs. 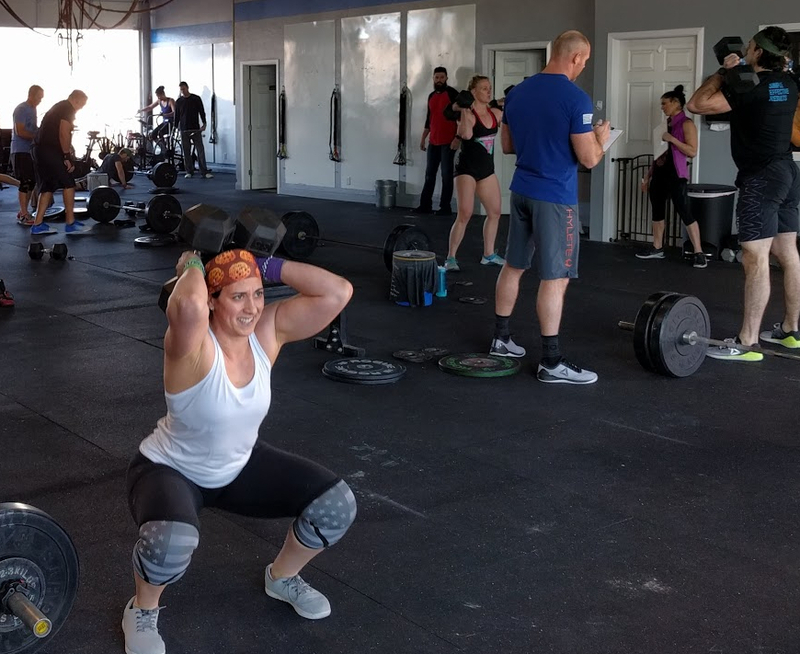 Record total thrusters. *Rest 3 min between AMRAPs. Record total thrusters. 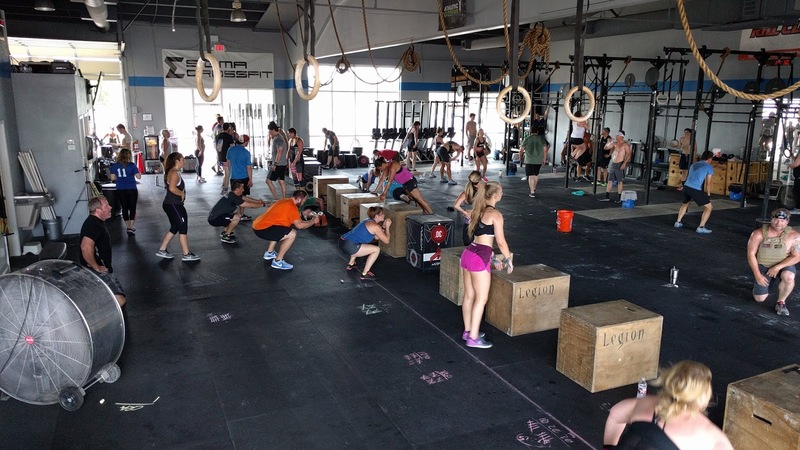 *Sandbag on shoulder for thrusters. Alternate shoulders for each rep (like the worm). Nice shorts guys! Good way to keep those legs cool for those 300 squats in "Murph", right??? And, they're patriotic too! Haha! Rest 30s between implements. Record time. Here's Google's attempt at splicing together two pictures to create a panoramic photo during "Murph"! Obviously, these always work better when you're photographing something that's not moving, but this is more fun since someone inevitably ends up missing an arm or a foot or something... Haha! I'll post the rest of my photos on Facebook soon! A little technique goes a long way! 12 feet up specifically! Congrats to Ashley for getting her first rope climb during last Friday's WOD! Top down, lifters allowed. Record heaviest load. Don't forget your shin protection for the rope climbs tomorrow! 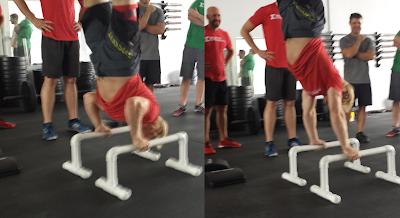 Competitors, you've got PARALLETTE handstand push ups! Speaking of which, any old-school Sigma athletes remember when we had Graham Holmberg over and he demonstrated FREESTANDING parallette HSPUs?! That was epic... Here's a snapshot from that day! 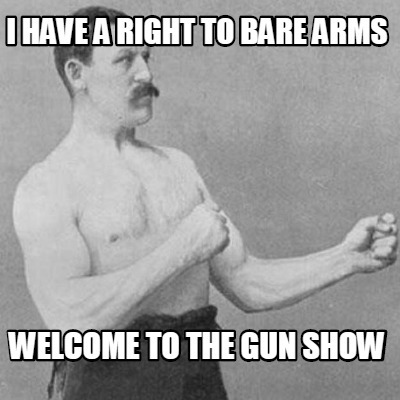 And the gym was so small back then! 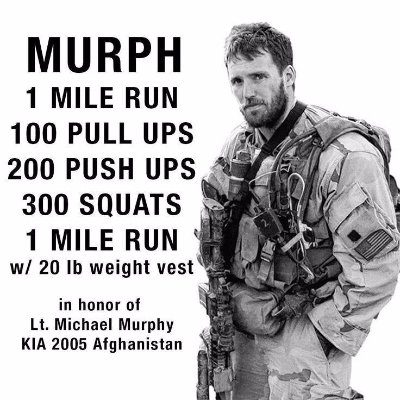 For anybody doing "Murph" with us this year on Memorial Day, please reserve your class/heat here! We've got a simplified version of Regionals Event #3 tomorrow! No obstacles on the HSW! But since we've simplified the HSW, we're adding an extra one in there (at Regionals, after the 54 pistols, they would cross the finish line). If you wanna Rx+1 it, feel free to make your own obstacles (like the Regionals version), just make sure you know how to bail without getting hurt if you're on top of some steps or a ramp! Wear a 20/14# vest if you have it. Find a comfortable pace you can maintain for the entire run. ...10 D-Ball Cleans (100/70#) while partner holds 2x53/35# kettlebell in farmers carry. Both partners complete the row, then the D-Ball. You can only work while your partner is holding the KB. Both partners may work at the same time. 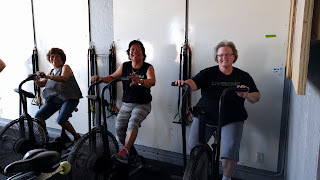 Alternate bike/row each complete round. Record time. Start with the rope coiled on the sled. Carry both sandbags (one at a time) 50' and sprint back. Extend the rope towards the sandbags and use them to anchor your feet for the rope sled pull. Your partner may help situate the bags for you, but nothing else. Record time. Here's a classic CrossFit benchmark for tomorrow to help you get ready for "Murph" on Memorial Day! Check out this old school video of Pat Barber doing "Barbara" from 2011! He used a rolled up towel in place of an Abmat (we used rolled up yoga mats when I started teaching CrossFit at Anytime Fitness 7 years ago). And check out his transition from the pull ups to the push ups in the first round! And before CrossFit had its own shoe, everyone wore Converse back in the day! Rest three minutes between each round. Time cap of 40 minutes. Post total time (including rest) & individual round times in the comments. Compare time to 2014-09-12 and 2014-04-08! Rest three minutes between each round. Time cap of 40 minutes. Post total time (including rest) & individual round times in the comments. Time cap of 30 minutes. Record time. Time cap of 15 minutes. Record time. Find a weight you can move at a steady pace for the entire distance with good posture. Rest as needed between sets. We've got sprints tomorrow! I wanna see some photo-finishes tomorrow like this one from the 2012 CrossFit Games! Walk back to starting point between rounds. If you have a weight vest, wear it every other round. Record total of fastest time + slowest time, and then both individual times in comments. Partition distances as necessary. 100m run penalty every time you drop or change an implement. Time cap of 20 minutes. Tabata scoring (lowest round of each movement) + Sit Up weight. Record loads for each lift. *Hold a small dumbbell behind your head. Weight down your feet with a larger DB. Record total reps + Sit Up weight. 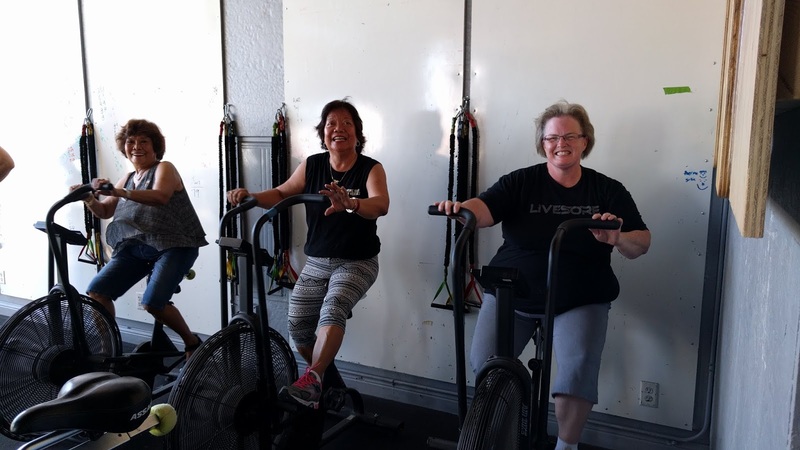 Alternate row/bike each round. Record slowest round. 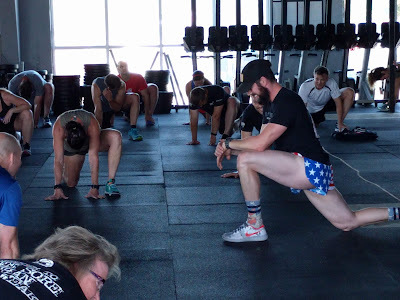 *1 burpee (to 6") penalty for each missed rep (cap of 30 burpees). 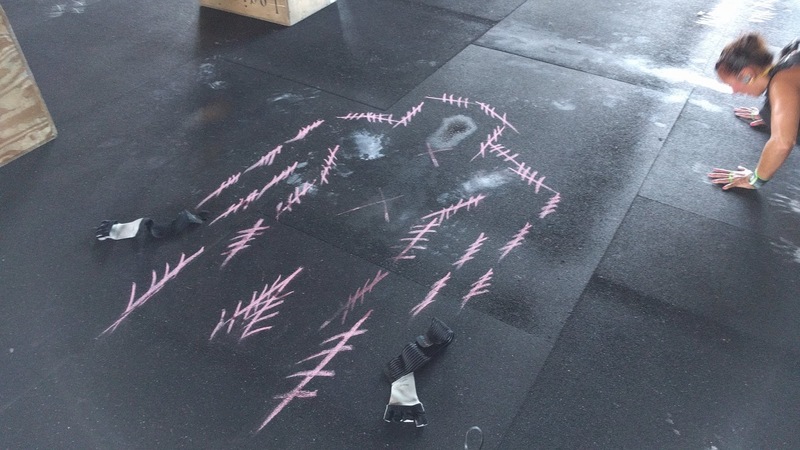 These are performed at the START of the metcon. Choose the hardest progression pull up/dip progression which allows you to get at least 35 total reps of each movement. Time cap of 6 minutes. Record time. Arm day tomorrow! 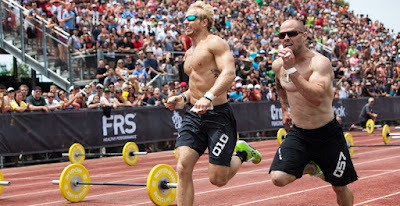 Push and pull supersets, CrossFit style! Rest 2 minutes between AMRAPs. Record total calories. Start with a moderate weight on the OH carry and increase if possible. Make big broad jumps, resetting the feet after each jump to get the most out of each rep. The idea isn't to jump back quickly, but to do so with the fewest jumps necessary. Remember those DB Squats from 18.2?! You've got them again tomorrow! Good luck for anybody going chipper style on this one! Time cap of 18 minutes. RX+1 Wear a weight vest. Time cap of 14 minutes. Record time. 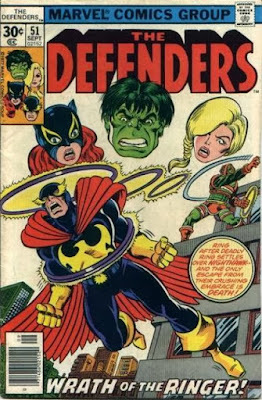 Here's one named after an old Defenders/Hulk villain, "The Ringer"! 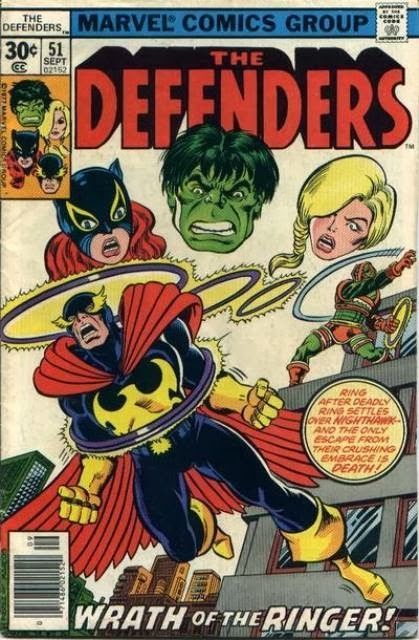 The Ringer has the power to materialize rings out of thin air that can lasso and constrict would-be-heroes to crush them! Go for big sets every time on that wall ball tomorrow! Otherwise, doing all those sprints and burpees WILL crush you eventually! Last 5RM for the cycle, make it count! Record heaviest load. Quicksilver, the speedster of the Marvel Universe, has made appearances in X-Men: Days of Future Past and Avengers: Age of Ultron! If you want a good score on this one, you'll need to get through the Row and HSPU as fast as possible to get those muscle ups/pull ups in there! *Scale to hardest strict pull up progression: L-pull up, strict C2B, strict PU, strict band-assisted PU. Record total muscle up/pull up reps.
Record total muscle up reps.